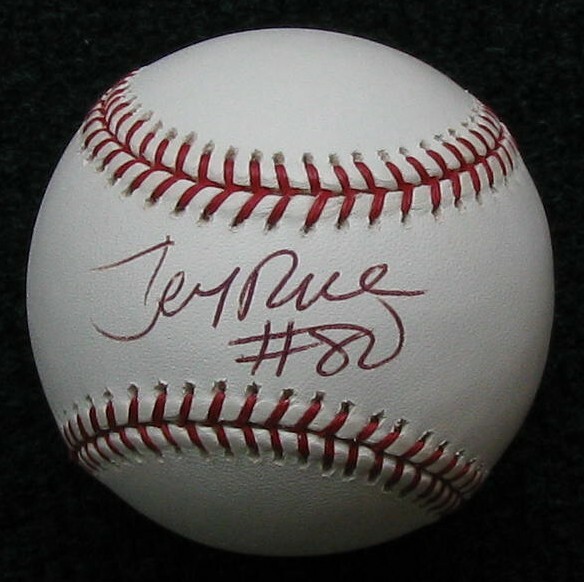 Here is a Jerry Rice signed baseball. You wouldn't really expect to see a Jerry Rice autograph on a baseball; a football maybe or even a photo but a signed baseball? Jerry is the greatest football receiver of all time.